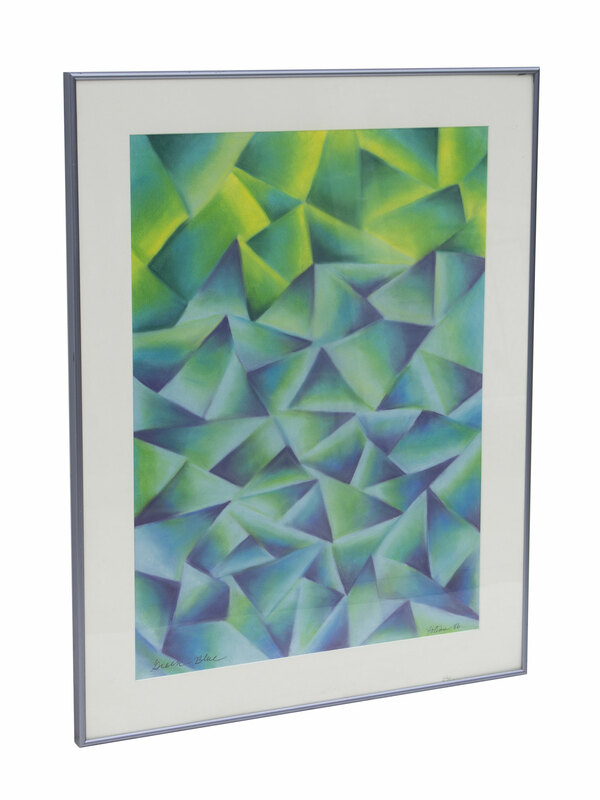 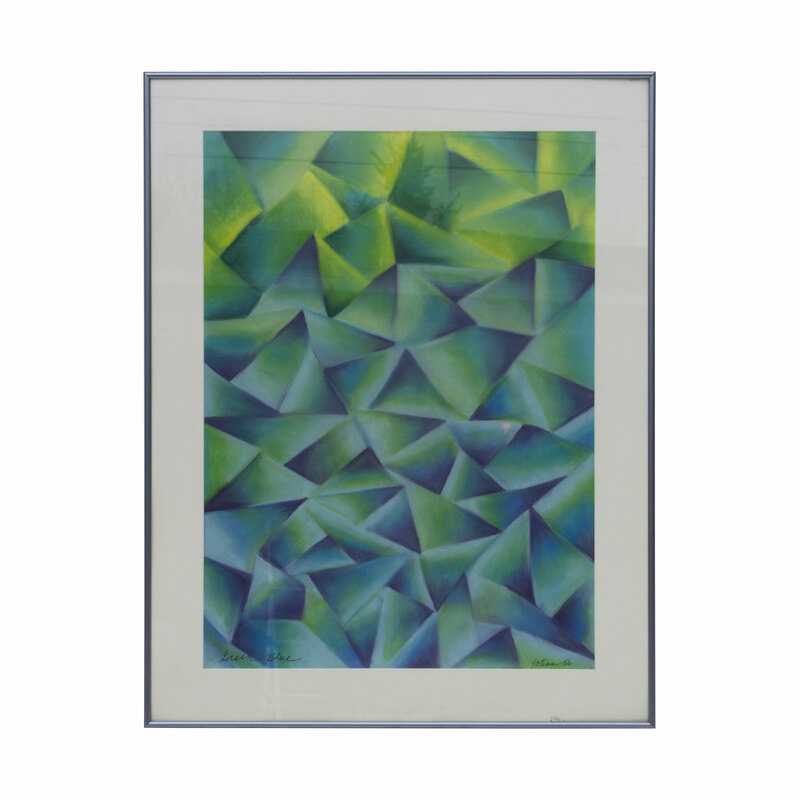 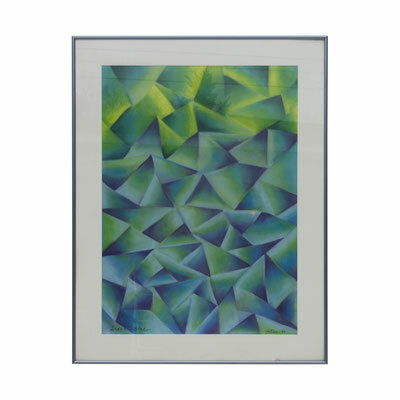 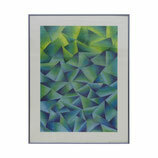 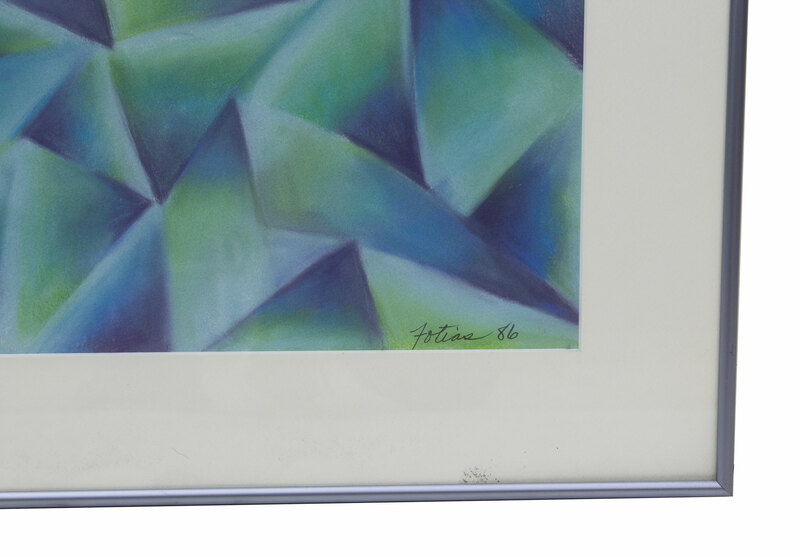 Geometric Pastel Drawing in greens and blues. 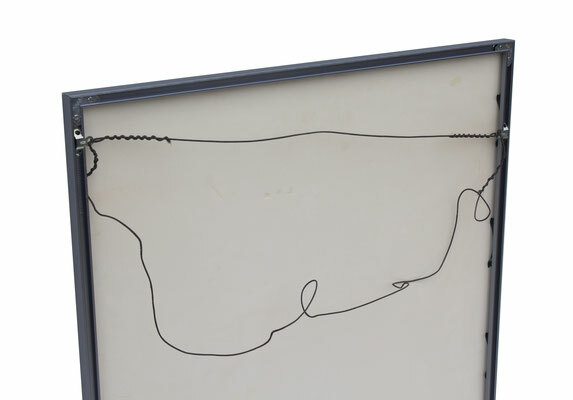 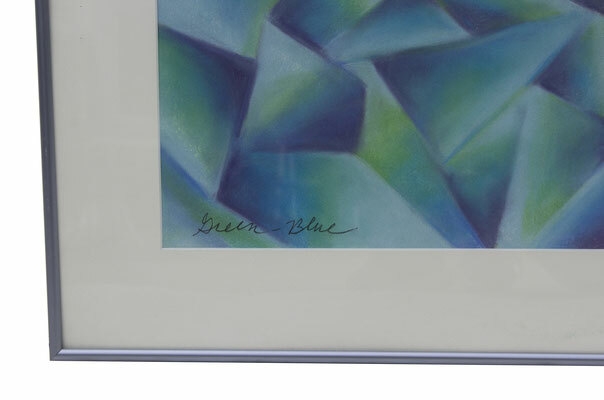 Titled 'Green-Blue' and signed Fotias '86. 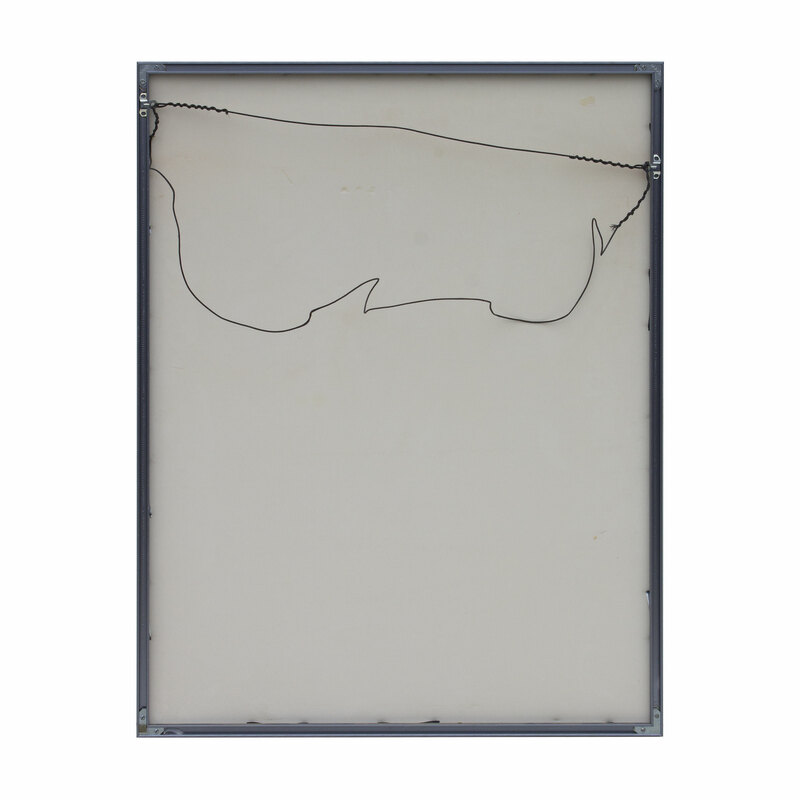 CONDITION NOTES: In good original condition; framed.